One of our values is honesty. We want everything we make to be authentic. That’s why the challenge Ledgerock Golf Club came to us with was such an interesting and perfect fit. This beautiful golf course serves as its own best advertising – it’s difficult to visit Ledgerock without wanting to join. It’s a great golf course, and more than that, it’s a community that you immediately want to become a part of. Since getting people on site is their best marketing, they wanted to create a film that captured the experience of visiting their grounds. They wanted everyone who watched it to feel as though they’d played a round of golf as part of their community. They wanted it to look, sound, and feel true. We knew that if we wanted viewers to feel like they were there, we had to hit the links. So we went out on the course, because that’s how you really get to know golfers, and had conversations with some exceptional golfers while they played. It was a challenge, of course, since we wanted to maintain our high standards for visuals and audio, but it paid off. It felt natural, like we were talking our way through a game of golf. That was important to us, since one of the crucial elements of any creative project is stepping outside yourself, allowing other people’s experiences to take shape through your craft. We knew that if we were engaged listeners and observers, our filmmaking skills would allow their golfing skills to come alive. Two of the most important qualities for any collaborative project are adaptability and listening. 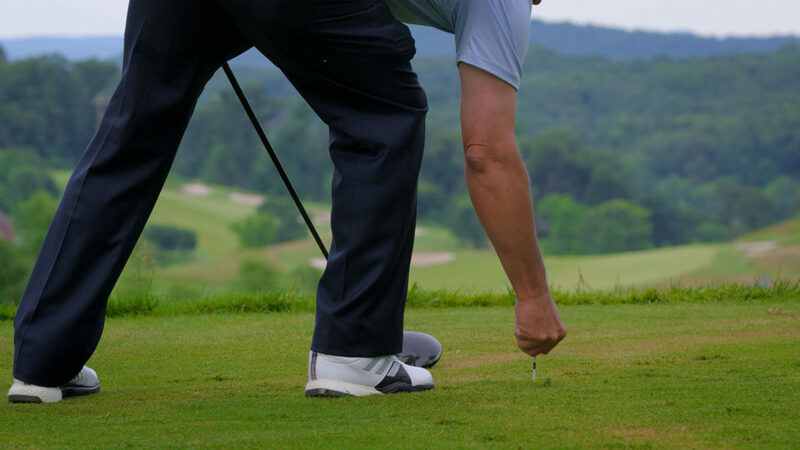 We got to use those skills here, as we kept on our toes, recording the experience as it happened, and listening to the needs of Ledgerock, as well as the thoughts and opinions of the golfers we were with. We hope after you watch it, golfer or not, you feel like you’ve spent an afternoon at LedgeRock.